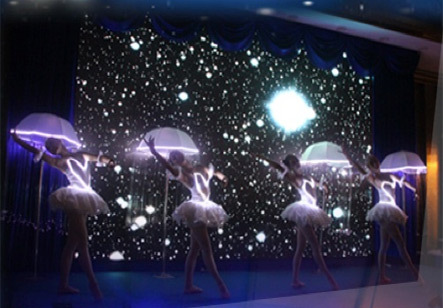 Watch with awe as they twirl and dance across the stage in their flowing illuminated costumes, which creates a sensational visual effect. 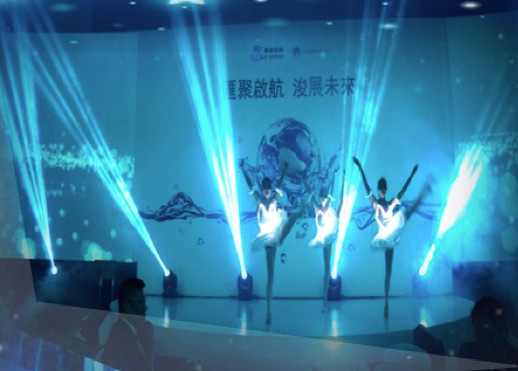 The show can take several different forms; the dancers can provide LED jellyfish props and an LED screen to go with their underwater theme as well as providing a varied line up from 3 to 8 dancers, depending on your event requirements. Performed by professional trained Ballet dancers, this elegant show features stunning dancers adorned in dresses covered in thousands of tiny fairy lights.